【We shall walk with you】Hui Ka-ki, who was convicted due to the case of fishball revolution and sentenced to three-year imprisonment in March, had her first birthday in prison last Friday (15/9). As another youth with dreams and hopes for changes in the society, we should not let loneliness fill her. Let us send her a blessing each, so that she would feel our warmth within the walls of the jail. April Lam 生日快樂! 保重身體! 係入面有時間就讀下書，學下野，出返黎我地再一齊行! 加油! Ophe Ma 嘉琪, 雖然我們素未謀面, 但我知道你們為不公義而不顧一切地發聲反抗後, 實在很欽佩你們。不要難過, 你對得天地良心, 大部分香港人是看得見的!! Nora Lam Ashley, this is Nora, I hope this message reach you well. I don't have the courage to sit down and write anything by post yet. I am sorry. I shall write soon. I think of you always. I remember the time we met briefly last year, and all that we talked about. You are an inspiration to many of us, encouraging us to march on to where we are now. And this journey will continue, we will fight for a brighter, fairer HK for you and the others to see when the happy time comes 3 years later. I hope we won't fail you. Take good care of yourself till then. Happy birthday. Stay strong. We will meet soon. Chu Laifan 嘉琪, 好感激你為香港付出既一切, 你絶對冇錯, 錯既係納粹支那同邪惡既港共, 撐住呀! 我一定支持你! 祝一切安好!! 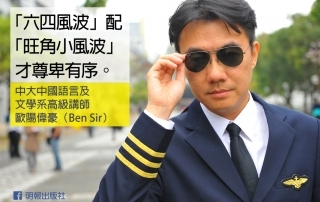 Billy Fung 要加油！任何鼓勵的說話於你而言都是虛幻不實，但我想講德不孤，必有鄰！你並不孤單！I am always here to support you! Man Yum jail time is harsh but adversity is a good discipline for u for a bright future. Thank you and simply Happy birthday to you. Ada Cheung 嘉琪，撐住！香港人沒有忘記你。Proud of you. Melody Sin Yin Cheung 嘉琪，生日快樂。你的知行合一並身教成了比課本知識重要的教授內容。加油! Andrew Lam Happy Birthday to you and my best wishes, God bless you. HKU undergraduate 嘉琪 , wishing you happy birthday! hope you can continue & complete your undergraduate studies, add oil. All the best & good hope to all of you! Salute! Joe Heung You are always a Hongkonger, you did what I am not brave enough to do. Take care and do best to be there, I am not dare to say HAPPY, but remember this birthday, you will be remembered by me. Drake Leung 這是最多人和你一起不快樂的生日 我們等你岀來! Be strong! We do not walk together solely because we miss or support them. We walk together because we share the hope for social change and a better city. Entering a authoritarian governance, we must realize that we are unable to separate ourselves with others under the same regime. We have to defend all political prisoners, be together with one another, so as to share greater zeal to continue the journey in the swirl of the era. 24/9, this Sunday, save the date. To be together with fellow companions to support our friends in prison, to transform our feelings, to gather ourselves and to start again. 香港編年史 Hong Kong Chronicle shared their photo. 譚得志 Takchi Tam（快必） shared 人民力量's live video. Alan Leong Kah-Kit shared 公民黨 Civic Party's post. 公民黨 Civic Party added 15 new photos. Alan Leong Kah-Kit shared 譚文豪 Jeremy Tam's video. 公民黨 Civic Party added 5 new photos. Alan Leong Kah-Kit shared Stand News 立場新聞's post. Alan Leong Kah-Kit shared Progressive Lawyers Group 法政匯思's post. Progressive Lawyers Group 法政匯思 added 22 new photos. The United States has conducted three “freedom of navigation” operations near islands held by China to challenge Beijing’s maritime claims since Trump took office in January. The Privacy Commissioner has found out how CCTV images leaked of the individuals who apparently posted slogans “congratulating” education deputy Choi Yuk-lin over the death of her son. Interview: http://bit.ly/2fyzk83 "What happens after 2047? Well, the people will decide that are the people who are demonstrating at the moment at universities and – unfortunately, in some cases – are in prison," Hong Kong's last colonial governor Chris Patten tells HKFP. Lawmaker Junius Ho has since claimed that the word “kill” has multiple meanings and may not be advocating actual murder. EXCLUSIVE: Hong Kong's leaders will always need to stand up to Beijing, to tell them what is good for the city, rather than what they want to hear, says Chris Patten. HKFP speaks to Hong Kong's last colonial governor about his efforts to leave behind a democratic system, the independence debate, and whether China can be trusted. In its launch manifesto, the students said that freedom of speech had been undermined on campus. Meanwhile, a message in support of Chinese news outlet In-Media was removed at Lingnan university as it contained the character representing "Independence." A Department of Justice spokesperson confirmed that four more defendants – Raphael Wong Ho-ming, Chu Wai-chung, Kole Chow Koot-yin, and Chan Pak-shan – filed notices of motions on Tuesday. The government's new rules for allowing digital media access to their press conferences are outdated and unclear, Charles Mok has said. Meanwhile, news outlet Citizen News questioned why online outlets can be punished for "misconduct" whilst no proviso is in place for print or broadcast media. The defence counsel called the charges "most unusual and strange." Eight of the nine are facing the common law charges of inciting others to create a public nuisance, and inciting others to incite more people to create a public nuisance. Five men have been charged with conspiracy to make explosives and three of them are also charged with possessing explosives. One of the defendants admitted being part of an anti-establishment group, the prosecutor said: "He had been invited to join an anti-government organisation called the National Independent Party." The magistrate compared activist Alvin Cheng to "Robin Hood" but said his behaviour was still dishonest and found him guilty of theft. Surrounded by the sleek hi-tech campuses and luxury condominiums of "Beijing's Silicon Valley", migrants from the countryside recreate village life, cooking in outdoor communal areas, playing cards and showering in the street. But demolition crews will soon arrive to flatten its alleys packed with dilapidated, one-room dwellings as part of a city-wide "clean-up" campaign. Hong Kong Free Press HKFP is at The Foreign Correspondents' Club, Hong Kong. “He’s grown up. He must know, as I said earlier, that actions have consequences, and not to understand what signal that would send to the rest of the world, strikes me as being, to be frank, a little naive,” Chris Patten said of Justice Secretary Rimsky Yuen. Opinion: "The Hong Kong government, university authorities, and Communist Party allies are waging a campaign of intimidation that runs counter to the letter and spirit of international and Hong Kong law," writes Kong Tsung-gan. Eight of the 13 activists jailed last month have lodged appeals. The other five defendants, amongst them the League of Social Democrat’s Raphael Wong, do not have legal representation and have yet to lodge appeals. “What I hope is that people will start talking to one another again. I hope there will be a dialogue,” Chris Patten said. Qu Long, a former business acquaintance of fugitive businessman Guo Wengui, has reportedly been released after a Chinese court overturned a 15-year jail sentence. 【924 Save the date】Boyz Reborn, a band formed by a group of secondary students, created a song for our imprisoned friends called "Elegance behind the bars", which would be performed live at "Be Together" - 924 Musical Rally of Solidarity with Political Prisoners" for the first time. "I shall succeed the mission, and hope many more would too." Let us gather our zeal and sustain the indomitable perseverance, in the hope that the seeds of resistance would blossom all over our land. We, who share the same fate inside our outside the jail, shall set of again with music. See you at Edinburgh Square at 3pm on Sunday! 吳文遠 Avery Ng added 2 new photos. Kwok Ka Ki 郭家麒 was live. Kwok Ka Ki 郭家麒 shared 譚文豪 Jeremy Tam's video. 謹申 James To shared 有線新聞 i-Cable News's live video. The BBC is to teach its senior staff to be in touch with the younger generation by giving them their own young mentors to advise them. Tanya CHAN 陳淑莊 shared 「一地兩檢」關注組 "Co-location" Concern Group's live video. Alan Leong Kah-Kit shared 評台 Pentoy's post. Louis Pang 傳媒、法官、問責公僕、教育一把手、執法者、宗教牧者、商人鄉紳、黑邦...全姓黨, 連同3權合作, 香港的法治廉潔、公義人權及文明自由還有希望嗎 ??? Alan Leong Kah-Kit shared Dennis Kwok 郭榮鏗's post. 有線新聞 i-Cable News shared 有線中國組's video. 有線新聞 i-Cable News shared 有線中國組's post. 黃浩銘 Raphael Wong shared 在囚抗爭者支援基金's post. 潘小濤 shared Stand News 立場新聞's post. See More 潘小濤 shared 明報即時新聞's post. See More 信報財經新聞 hkej.com shared 信報手筆 hkej.com's post. EJ Insight shared 香港警察 Hong Kong Police's video. Footage of a police anti-terrorism drill, codenamed “Skyvault”, held earlier this week at the City Hall in Central. “Run, hide and report” – sticking to this rule-of-thumb is the key to protecting your lives during a major incident. The speed limit had been reduced to 300 kilometres per hour after 40 people died in a high-speed train crash near Wenzhou in July 2011. The student union said in a statement that the banner was raised without approval, and would deprive other students of the opportunity to use the space for other banners. It also said talks with the school had reached a stalemate and it was “unreasonable” to keep the banner raised.